A Senior Member of the Opposition National Democratic Congress (NDC) Alhaji Muhammad Sarni says the party is ready to face any political party planning to foment trouble before, during and after the 2020 general elections. According to him, no political party, especially the ruling New Patriotic Party (NPP), has monopoly over violence, thus they will meet them gun-for-gun if they try it. “We are prepared for gun for-gun so if they want it, we will give them; if they want peace, we will give them peace because Ghana does not belong to Akuffo Addo,” he declared on Ashh fm’s National Agenda Tuesday 5th Febuary,2019. Alhaji Sarni Snr was reacting to a comment by the peace council chairman Rev Emmanuel Asante, calling on former President Mahama to apologise for his boot-for-boot comment if the NPP fails to safeguard the country. “NPP and its government want to incite the security against the NDC but we won’t allow that,” he warned. ‘’ Nana Addo and his government can’t intimidate us, if this is a rehearsal for 2020 then he lie bad’ he stressed. 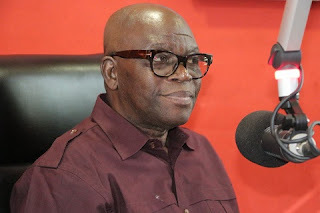 The NDC Former Ashanti Regional 1st Vice Chairman told Oderfour Qwasi Kay that the NDC will not "sit aloof and watch some power-drunk individuals to plunge the country into chaos." Alhaji Sarni who is accusing the present of masterminding the violence the erupted at the Ayawaso West Wuogon bye-election said the NDC will be prepared to go to war in the interest of the state if the need arises.